It been a slow week. I started taking pictures of wildlife around my house. Nothing too exciting. I use my Nikon D7100 with a Nikon AF-S Nikkor 55-300mm f/4.5-5/6 G ED VR lens. 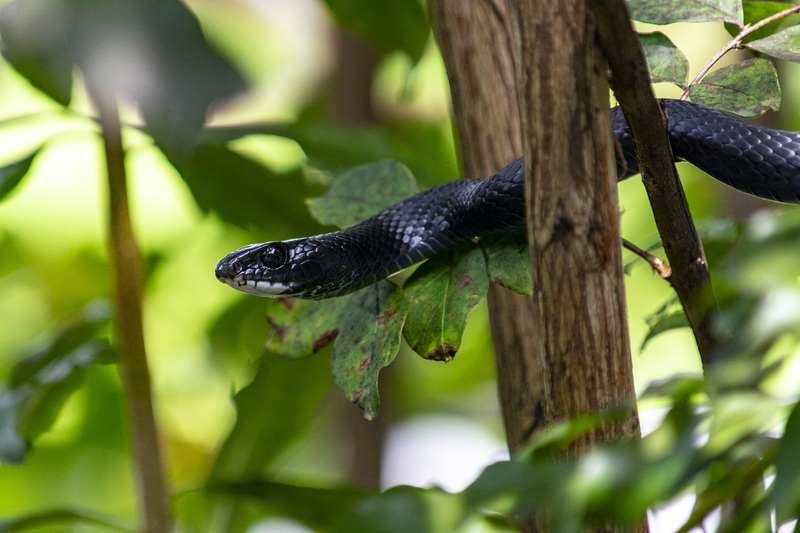 First up, the Black Racer (Coluber Constrictor) or better known as a rat snake. Smile you on camera!